All programs in MCP now have a new metadata field, Video Recirc. 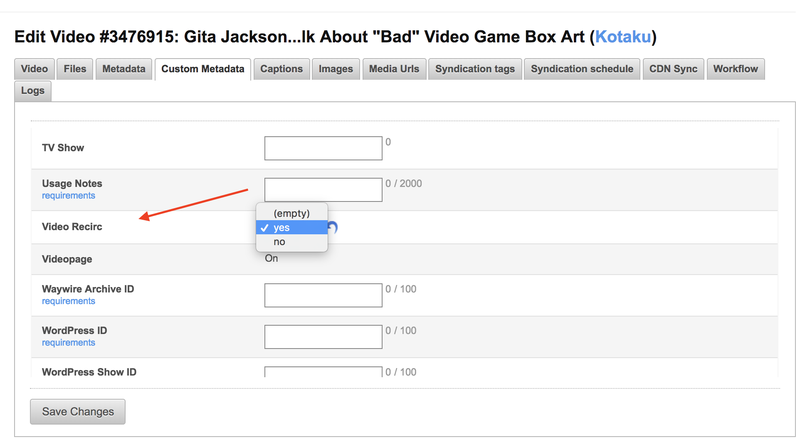 This can be found under the Custom Metadata tab. When set to “Yes” (which is the default setting) the video will be added to the Recent Video feed that powers both the homepage video player and the in-article recirculation player. When set to “No” the video will be removed from the Recent Video feed.